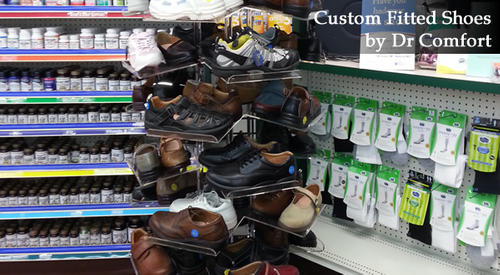 If you need diabetic shoes and custom molded inserts our foot care specialist at Midtown Pharmacy will fit you for them. Diabetic shoes maybe covered under Medicare. Call (201) 991-3454 for details. Wear shoes that are designed to protect your feet from injury. Inspect your feet daily for blisters, cuts and scratches. Always check between your toes. Shoes should be fitted by a foot care specialist and be comfortable at the time of purchase. Customized comfort never looked so good. The healthiest shoes you’ll ever wear.